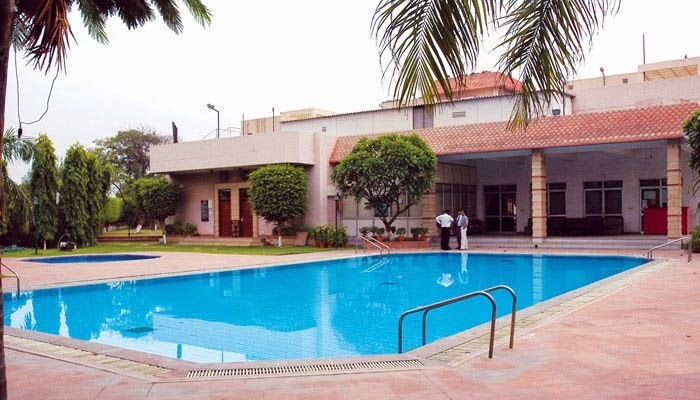 In a place like Delhi, far away from the hustle and bustle of the crowds, a pleasant 30 minutes drive from the city is Country Club Eros Regency. Country Club always aimed at serving its members provides the best amenities at their Delhi property. With central air-conditioning Country Club is conceived with the aim of facilitating a 360 degree experience of relaxation. Having an unmatched ambience that you have never experienced, to be associated with Country Club India is a joy in itself. The scenic beauty surrounding Country Club Eros Regency is simply amazing and feels most beautiful once been there. A place that is so close to nature gives a feel of complete calm and leisure. A break from all the monotony of life Country Club Delhi gives you the much needed peace in life. With also the best services and staff Country Club ranks the highest among its competitors. To enjoy life you must visit Country Club.